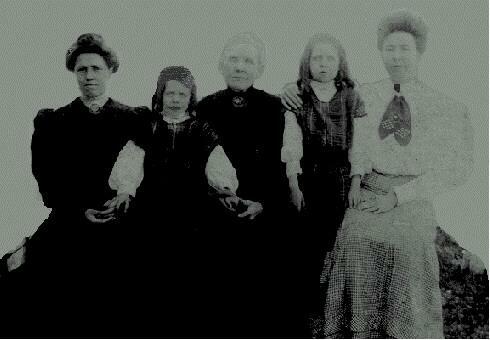 Jane C. (Lilliston) Milliner seated center my maternal great great grandmother (1846-1922). The lady on the far left is probably a daughter of Jane C. Lilliston but not sure which one. She had 6 daughters and two sons. Next is Florence Dukes, Carrie Dukes, and their mother on the far right is Manie (Milliner) Dukes who is the daughter of Jane C. (Lilliston) Milliner. This picture was probably taken circa 1905-1910 somewhere in Accomack County.